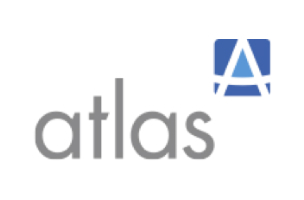 Facebook’s recent re-launch of Atlas unearths an intriguing privacy concern. Should consumer data collected under the premise of social networking be shared with third party publishers, potentially exposing it to any advertiser? Facebook consumes only 18 percent of its users in app time; 40 percent is of users’ time is spent on games and entertainment apps, which own a fraction of the user data that Facebook does. This wealth of data that Facebook owns harbors a huge blue ocean of opportunity for app developers and advertisers alike – making the employment of Atlas an ROI gold mine. Through Atlas, the social media giant is planning to integrate its two primary sources of user data: mobile and desktop. By incorporating both mobile identifiers and browser histories, Facebook will be able to serve highly targeted ads to users regardless of device, creating a more accurate images of user behavioral patterns and will, ultimately, sell this highly relevant (and lucrative) information to advertisers. The core privacy concern is whether data provided by consumers in a certain context could seamlessly be utilized in another context while maintaining users’ privacy rights. Ad targeting and retargeting has been utilized for years, Facebook is just one of the many tech giants that compile user information to provide highly relevant ads to consumers. For those who are worried about their social media privacy after the implementation of Atlas, don’t believe the hype. Facebook is not going to share personal information such as your name or location to advertisers. The consumer data will be just that: masked data; the type of information that can never be tracked back to you, individually. Facebook has again shown its ability to innovate while keeping its users protected with Atlas, there’s nothing to worry about, at least for now. Readers: Are you worried about Atlas? Sephi Shapira is the CEO of MassiveImpact. With over 20 years of mobile experience, Sephi founded MassiveImpact to make mobile marketing an ROI-driven business. Sephi heads MassiveImpact’s international operations for the company’s five regional offices around the world.